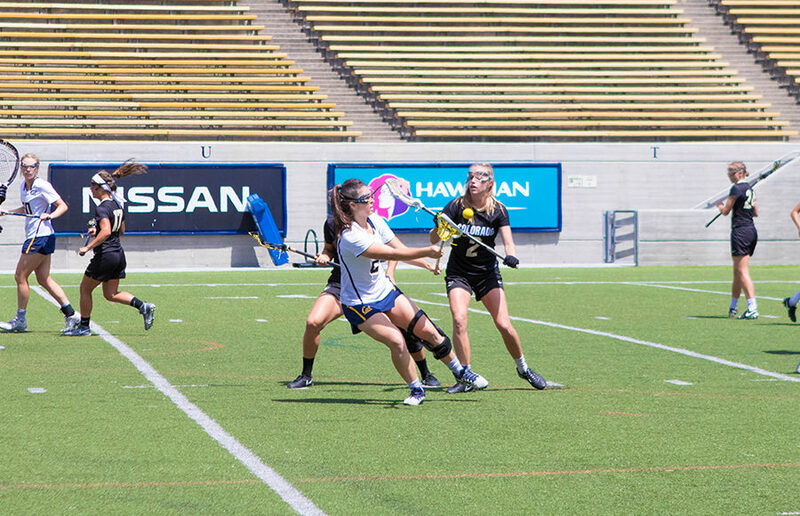 In the final two games of its regular season, the Cal lacrosse team (5-12) faced an enormous challenge: maintain its place in the top six of the MPSF table or fail to qualify for the conference tournament for the fourth year in a row. On Friday, the Bears faced Fresno State (9-7), a team sitting second to last in the conference table at the time. By pulling out a narrow win, 16-14, Cal guaranteed itself a place in the tournament. The drama of the Bears’ game Sunday against No. 9 Colorado (15-2) was then reduced, and the outcome would only determine whether they would be the fifth or sixth seed. 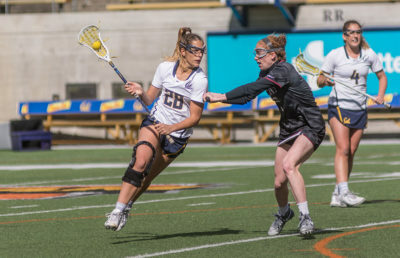 Cal lost to the Buffaloes, 18-6, securing the sixth seed in the tournament and finishing the regular season, paradoxically, with a loss but on an upswing. Cal went into the game against the Bulldogs with a purpose and took the reins from the first whistle. The Bears were in control throughout the first half, scoring the first goal in the the opening 40 seconds and finishing the half ahead, 9-7. Cal, however, began to struggle in the second half. In about 10 minutes, after being down by five points, the Bulldogs managed to net six goals to take the lead. Facing an immediate threat, the Bears upped their tempo and scored three goals to finish the game up by two points, with senior captain Jena Fritts netting the goal to put Cal in the lead. Cal led the game in total shots (35-26), groundballs (21-18) and draw controls (26-6). The Bears also had seven different players score, showing that they continue to rely on teamwork rather than a point-player to score. While the game Sunday against Colorado was guaranteed to be a challenge, it was not a vital win. The Buffaloes had already secured second place in the conference table, and while a win may have ensured the Bears a higher seed, a loss would not affect their chances of qualifying for the tournament. Colorado shocked the Bears in the first half by immediately setting a fast pace and taking a shot on goal in the first 20 seconds of the game. 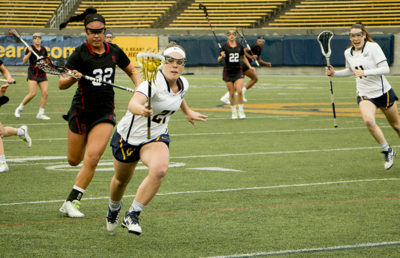 Cal was able to stay level with the Buffaloes for the first 10 minutes and scored two goals to match Colorado’s two. It was at this point, however, that the Bears began to lose energy. Colorado scored five goals before Cal could net another one, and then it scored four more before halftime, which ended 11-3. The second half picked up where the first left off. The Buffaloes scored seven times. Fritts notched the first goal of the half for the Bears with a little under 12 minutes remaining in the game, but by then, the game was out of reach. 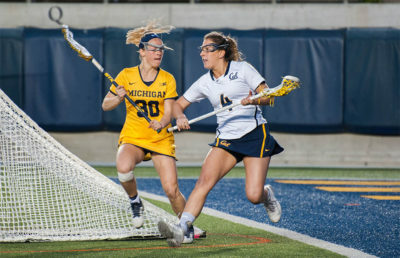 Cal managed to step it up a little toward the end and score two more goals, making a tough loss in the last game of the season not seem as disappointing. The season may have had its ups and downs, but the Bears have managed to complete their major goal of the season: qualifying for the MPSF tournament. After three years of missing out, the Bears have earned their chance to post-season glory and their recent games have proven that they have a shot.